Newcomer Family Obituaries - Michael Terrence Nero 1943 - 2018 - Newcomer Cremations, Funerals & Receptions. Michael Terrance Nero, the son of the late Harmon and Alveretta Nero, was born on October 2, 1943 in Denver, Colorado. He departed this life for life everlasting peacefully on August 3, 2018. In addition to his parents, Michael was preceded in death by his stepfather, Louis Robinson, and his brother, Calvin Mason. Michael, or Big Mike as he was affectionately known, was educated in the Denver Public School system and graduated from Manual High School in 1963. He then joined the United State Marine Corps and the Air Force and served as a proud Sergeant. He served in the armed forces for nearly four years. Following his service in the armed forces, Michael graduated from Emily Griffith with a specialization in Electronics. He worked at Public Service of Colorado, now known as Excel Energy, as a map technician until he retired in 2000. Michael met Geraldine (Gerri or Baby), his wife of 37 years at church and was married in June 1981. In this union, a set of twin boys, Terrence Michael Nero and Torrence Michael Nero, were born on July 12, 1986. Michael provided guidance and wisdom to his sons and had long talks with them about life choices, politics, sports and being good men. Michael enjoyed several hobbies, especially listening to his classical r&b, jazz, soul and rock&roll vinyl records. He loved going to the movies to watch Westerns, Military, Sci-Fi, Gladiator, Action, and James Bond movies. Michael loved to eat, specifically down home cooking and deserts. He liked reading novels, doing math problems, and having family talks. He was very versed in many subject matters. He was a avid Denver Broncos fan and his favorite players were John Elway and Von Miller. He also loved the CU Buffaloes and the University of Alabama football teams. He routinely liked to pull pranks and joke around with his sons and relatives. Michael had a strong and friendly personality and a voice that everyone loved. He was quick to anger when he felt threatened and quick to analyze others. He was very protective of his loved ones. Most importantly, Michael had a relationship with Jesus Christ. 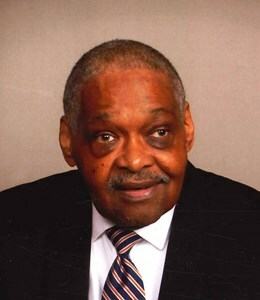 He was introduced to the church of Christ in 1975 by his former coworker and good friend Humphrey Cobb, where he was a faithful member until his health declined. Michael leaves to cherish his memories: a loving wife, Gerri Nero, of Denver, CO; two sons, Terrence and Torrence Nero, both of Atlanta, GA; one sister Sharon (Erle) Grace, of Las Vegas, NV; one niece, Denise Mason, of Aurora, CO; three sisters-in-law, Anna Ordonker, Bettye (Joseph) Eaddy and Sonya Cunningham, all of Rochester, NY; two brothers-in-law, Whittmore Jr. (Amelia) and Dewayne (Chandra) Cunningham, both of Rochester, New York and a host of other relatives and friends. Memorial contributions may be made out to the family of Michael Nero and sent to 3025 Ivanhoe St., Denver, CO 80207. Add your memories to the guest book of Michael Nero. May God carry you through these times..